Love the sweet tart combination in bread and butter pickles? Not in the mood for canning? Then you are going to love these Refrigerator Bread and Butter Pickles that are ready in as little as one day! You know what I love? Being invited to join a supper club! Not just any super club, but The Lost Family Virtual Supper Club hosted by The Book Club Cookbook (be sure and check out all of the bloggers participating!) 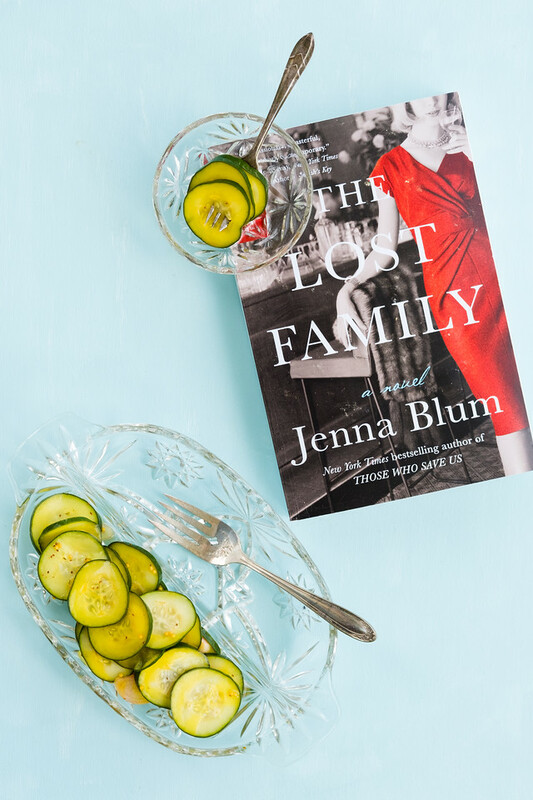 They asked if I would like to receive a copy of The Lost Family by Jenna Blum and then make a recipe inspired from the book. Why, yes I would. Cooking and reading…my two favorite things! I chose to make Refrigerator Bread and Butter Pickles. Before we get to the recipe, a little bit about the book, The Lost Family and the author. First of all I loved, loved, loved the book. The story begins in 1965 and continues for the next two decades. But really the story begins before that, because the main character, Peter, is a survivor of Auschwitz. He carries that with him at all times, along with the loss of his wife and daughters who did not survive. Peter is a the owner and head chef of Masha’s, a restaurant in Manhattan. We follow Peter as he meets and falls in love with June. Marries and has another daughter. We watch Peter try and build a life, while coping with the devastating loss from his pass. He uses food and his restaurant to get lost in, to forget. When I opened up The Lost Family, the first thing I saw was Masha’s Fall 1965 menu. Glancing through it, I stopped on “Dish of House-Made Pickles.” I didn’t even need to think about it. You see pickles are my jam. Well jam is my jam too, but pickles have my heart. And, while I love canning, there is something so wonderful about refrigerator pickles. Easy peasy and oh so delicious! Refrigerator pickles are so easy. You basically chop your veggies, add them to a jar, pour over some heated brine, put a lid on them and put them in the fridge. Done. I made these yesterday and today they are already amazing! Refrigerator pickles will keep in the fridge for about 2-4 months, but believe me, they won’t last that long! I modified a recipe for Freezer Bread and Butter Pickles that I found in Small-Batch Preserving – my favorite canning cookbook! These Refrigerator Bread and Butter Pickles are so easy, no canning required. Place the cucumber and shallot in a colander. Sprinkle with the salt and toss to coat. Let stand for about 3 hours. Rinse and drain thoroughly. In a small pot, combine the vinegar, sugar, mustard seeds, celery seeds and turmeric. Heat over a medium heat, stirring, until the sugar dissolves. Pack the cucumbers into a small mason jar. Pour the warm brine over the cucumbers. Put a lid on the jar and store in the fridge. These are good within 24 hours. We have enjoyed featuring your awesome post this week at Full Plate Thursday, thank you so much for sharing it with us! We are pinning your post to our Features Board and hope you enjoy your new Red Plate! 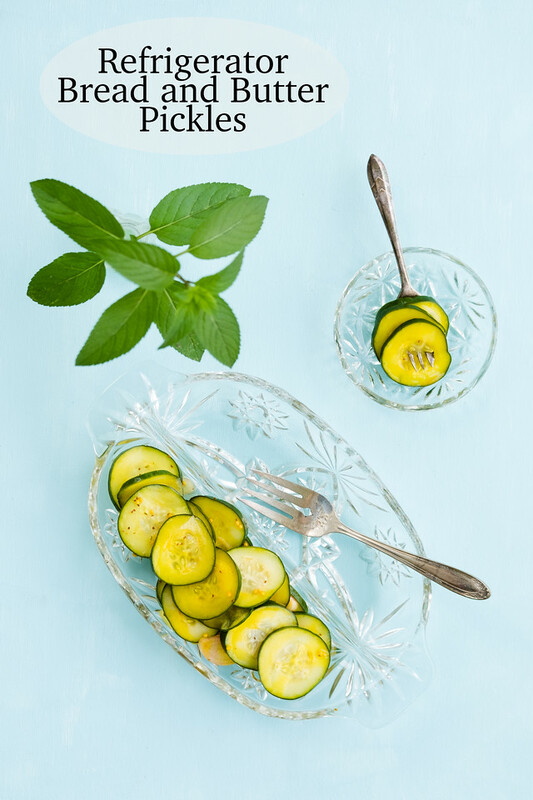 Pam, this sounds like my kind of book – and my kind of pickles! What a fantastic recipe. I love that you said “pickles are my jam”. I’m like that too, and as pickles aren’t as popular over here in the UK they are a special treat. Pinning this post, and featuring it at the Hearth and Soul Link Party this week. It went live a little early this week, so hope to see you there! Thank you so much for all your support of Hearth and Soul! Have a lovely week! I have been craving pickles and thought about making them for the event but your pickles look so darn good I’m glad I didn’t! 😉 Lovely photos too. I loved this novel too and was so happy to be included in the party. Those housemade pickles caught my eye as well. I’ll bet they were not near as delicious as yours sound. 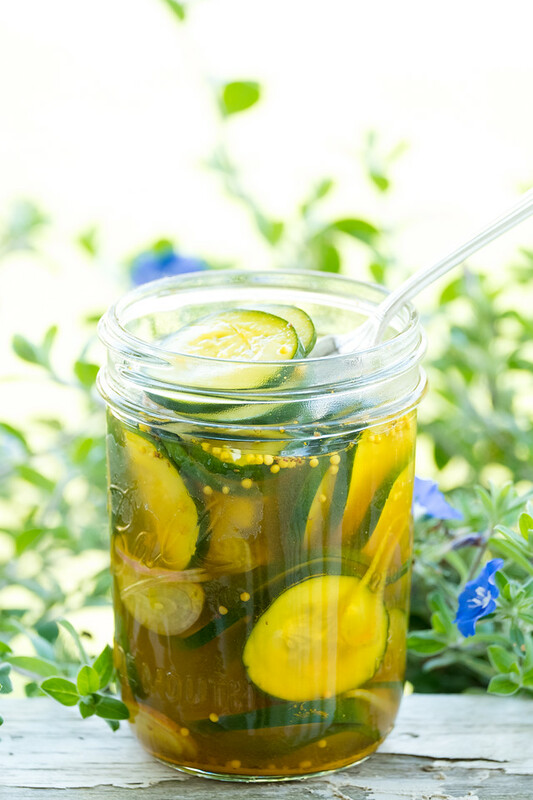 I love refrigerator pickles and the cucumbers will be showing up the farmer’s markets soon … I will be making them! I just love pickles, so this is making me so hungry! I made pickles one time and it was a really long time ago. I should make these, since they are so easy and prepared within a day! Yum! They’d be perfect to take along on a picnic! Yum! I have never made my own pickles before, but these sound delicious 🙂 I bet they would be gone in seconds at my house! Lately, my husband has been teasing me about leaning a bit German lately. I’ve been somewhat obsessed with books about WWII, specifically about the aftermath of both Jewish and German survivors. I hadn’t heard of this book, so I will definitely be on the lookout next time I’m at Barnes & Noble. These are my favorite type of pickles! I love how easy they are! Wishing I were your neighbor 🙂 Great review, I agree that was a wonderful book. So many emotions. These bread and butter pickles look so good. The perfect compliment to Summer dishes. I will eat these up just like I will devour this book, it sounds just like one that I would love.